One of my favourite aspects of the Hong Kong urban landscape are these giant advertising signs that hang over roads. 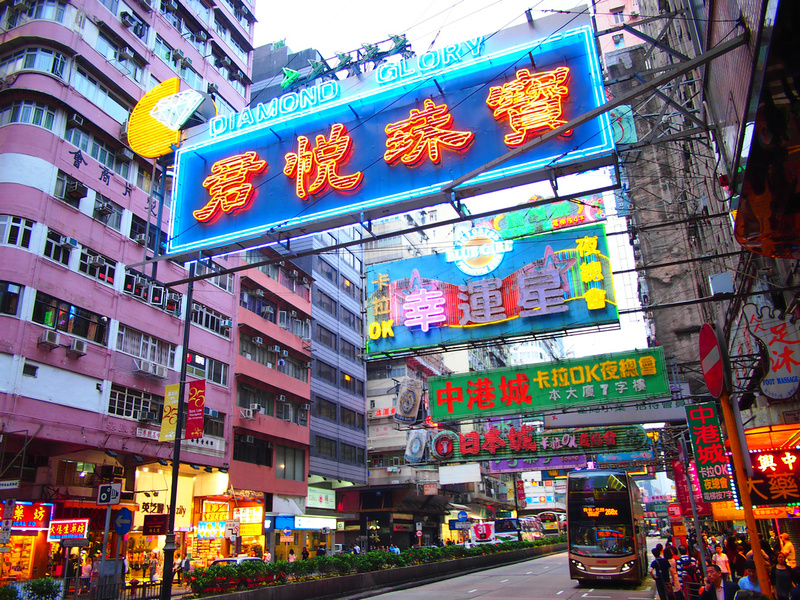 Hong Kong hotels – First time to Hong Kong? Find out where to stay in Hong Kong.